What makes FreeCall unique is that you can call to any phone (mobile phone or landline phone) from anywhere in the world for free and unlimited. Another thing that makes FreeCall unique is that you can call up to 40+ countries. 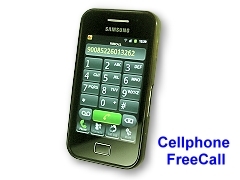 If you download the FreeCall App to your mobile phone, you can request a free trail account to test it. Just subscribe it and enjoy our crystal clear free international and local calls.